Diet buzzwords are everywhere these days, from eating ‘clean’ to ‘pure’ to paleo to raw veganism. Although these terms have nebulous definitions, many people take up the banner of their personal food plan, encouraging others to do the same. For some people, eating better means buying whole foods and organic produce when possible. But for others, eating a ‘perfect’ diet becomes an unhealthy obsession that takes over their lives. At its worst, it can result in malnourishment, mental, behavioral and health issues. It’s ironic that an effort to eat better could compromise health, but that’s what Dr. Steven Bratman noticed in the 1990s when he coined the term ‘orthorexia,’ derived from the Greek for ‘correct eating.’ Before he was a doctor, Bratman lived on a commune with people who argued against cutting vegetables for fear of losing nutrients. Others avoided plants from the nightshade family, such as tomatoes, potatoes and eggplants. Although many of his friends and eventually patients touted their healthful diets, Dr. Bratman observed their health declining. As a Registered Dietitian who works with eating disordered patients, I’ve seen the effects of orthorexia first-hand. People with orthorexia tend to focus on what they eat rather than how much they eat,as in cases of anorexia nervosa. The results, however, are similar. Both the anorexic and the orthorexic tend to be dangerously underweight, and their labs show low iron and low total protein. Unlike anorexia, orthorexia can hide in plain sight, and is often unwittingly encouraged by friends and family who admire the orthorexic’s willpower and dedication to diet.The disorder can begin innocently, with something as simple as a resolution to eat better. Magazine articles, news segments and a billion Internet sites constantly promote the “hot, new diet.” People cut out gluten without knowing what, exactly, it is. Dairy is demonized daily and sugar and carbohydrates are called poison by people with Ph.Ds. It’s no surprise that people don’t know what to eat, and as the headlines pile up, they might cut foods out of their diet almost randomly. Eliminating entire food groups can lead to nutrient deficiencies, but as health fails, the obsession with healthy eating can intensify. Feelings of fatigue are assumed to be due to toxic foods lingering in the diet. Insatiable cravings for ‘forbidden foods’ are chalked up to the addictive attributes of the American food supply instead of simple hunger and undernourishment. Because the diet is so restrictive, it becomes difficult to eat at restaurants. The orthorexic might carry his food around with him, because restaurants and stores can’t meet his high standards. Eating at friends’ houses is out, because it’s burdensome listing all the foods he can’t eat. People don’t seem to understand anymore. They say he’s lost too much weight, but losing weight is a good thing, right? When the right foods aren’t available, the orthorexic will skip meals rather than contaminate his body. Oftentimes, neither the orthorexic nor his family and friends realize there is a problem until it becomes very serious. Because healthy eating has taken on nearly religious status in our culture, those who eliminate ‘bad’ foods are celebrated. In these sessions, I usually remind my clients of the basic nutrition information that they’ve replaced with an ornate structure of food rules, misinformation and fear. Yes, she knows essential fatty acids are necessary for survival, that protein is required for life, that carbohydrates are the best source of energy and the brain runs on glucose. But their diets were so healthy! Treatment isn’t always necessary if early intervention is possible. If you or someone you love might be slipping into orthorexia or anorexia, a meeting with a therapist or Registered Dietitian who understands eating disorders can be life-changing.. Many people just need a reminder of what healthy eating looks like, what the body needs for peak performance and some real information about food and nutrition. –We originally posted this article June 2016. Written by admin on May 10, 2018 . Posted in Bright Road Recovery News. 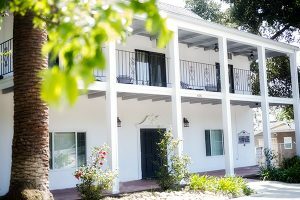 Claremont, California: Bright Road Recovery Outpatient Eating Disorder Treatment Center now accepts Aetna Health and Anthem Blue Cross insurance, significantly expanding access to treatment for the Inland Empire. The addition of these insurers makes higher levels of outpatient care, including partial hospitalization and intensive outpatient programs, more affordable and easier to attend for many more individuals who live in Claremont and surrounding areas. Eating disorders are among the most serious and complicated psychiatric disorders. Approximately 10% of those diagnosed with Anorexia Nervosa will die as a result of their disorder, making it the deadliest of all psychiatric disorders. Eating disorders are treatable—recovery rates increase dramatically with treatment and early intervention. About the Company: Bright Road Recovery is an outpatient eating disorder treatment center providing care at the intensive outpatient program and partial hospitalization program levels. Bright Road Recovery also offers outpatient psychotherapy for individuals and families and professional nutritional counseling by registered dietitians. Located in the historic Claremont Village, Bright Road Recovery has easy freeway and Metrolink access. Parking is easy and plentiful in their private lot. For more information, please visit www.BrightRoadRecovery.com.